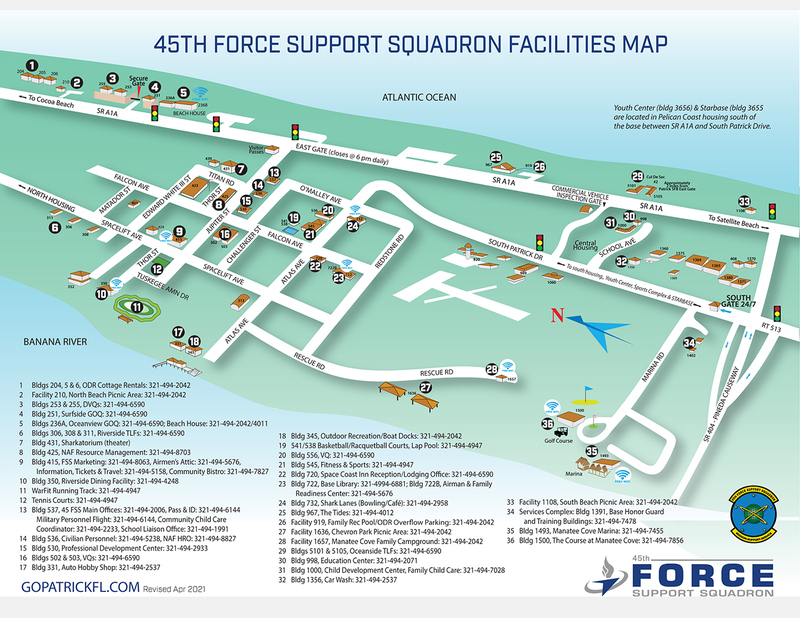 The Civilian Personnel Office (CPO) is assigned to the 45th Space Wing (SW), Patrick AFB (PAFB) FL. The wing oversees the preparation and launching of U.S. government satellites from Cape Canaveral Air Force Station (CCAFS), Florida, ensuring DOD spacelift capabilities of war fighter assets, preparation and launch of commercial satellites from the Cape, launch support to NASA's return to manned space flight program at Kennedy Space Center, missile testing support to the Navy and support to the Dept. of State and U.S. Customs and Border Protection. The CPO provides human resources (HR) advice and assistance to military managers and supervisors, and more than 1,200 civil service employees assigned to PAFB and CCAFS in the Cocoa Beach area of Florida (FL), and in Melbourne and Orlando FL. In addition to the 45 SW, the CPO also provides HR services to a host of diverse tenants and joint organizations, including a second wing, the 920th Rescue Wing of the Air Force Reserve Command, the Joint Surveillance Target Attack Radar System (a.k.a. JSTARS) Test Force Office, the Defense Equal Opportunity Management Institute (a.k.a. DEOMI), the Air Force Agency for Modeling and Simulation (a.k.a. AFAMS) and an Aerospace Fuels Laboratory. The CPO works with management through the Air Force Personnel Center (AFPC) to recruit and hire for most positions at PAFB and CCAFS, and those in Melbourne and Orlando. Air Force Federal civil service vacancies for which applications are being accepted are announced on USAJOBS. Appointments are preferred, and have priority. However, walk-in customers will be helped on an as-available basis. Please call the staffing office at 321-494-4189 (DSN 854-4189) or our employee and labor relations office at 321-494-8398 (DSN 854-8398) for an appointment.